Here is the eighth (8th) set of notes under the theme of media and change in preparation for the volume Postill, J., E. Ardevol and S. Tenhunen (eds.) forthcoming, Digital Media and Cultural Change. The notes are taken from a wealth of media anthropological research into this question that has remained to this date largely hidden from mainstream media, communication and internet studies. This research deserves, in my view, to be read more widely across this interdisciplinary area of scholarship. John Sorenson, Atsuko Matsukoka (2001) “Phantom wars and cyberwars: Abyssinian fundamentalism and catastrophe in Eritrea” Dialectical anthropology 26:1 pp 37-63. Fieldwork conducted during the war between Ethiopia and Eritrea from 1998-2000 (p. 37). Eritrean nationalists began war against Ethiopia in 1961. Abyssinian fundamentalists in diaspora reject independence of Eritrea and opposing Eritrean independence became an obsession among those in exile. 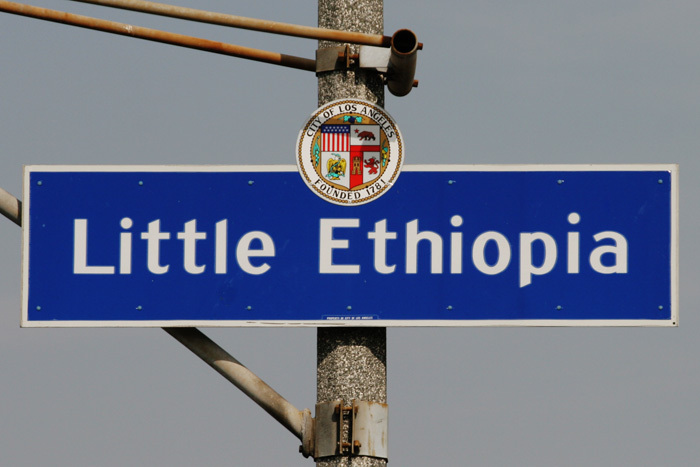 Ethiopian Review founded by diaspora intellectual community in Los Angeles (p. 40). Abyssinian [Haile Selassie emphasized antiquity of Ethiopia’s pre-19thc name] cybernauts do not develop new discourses via the web, simply a “ghostly repetition of ‘traditional’ views, echoing long-entrenched opposition to Eritrean independence” and commitment to “resurrecting and reinforcing former relations of power” (p. 39). Ethiopian Review promotes “fantasy of Abyssinian fundamentalism” and hatred of Eritreans (p. 41). Central theme of fundamentalist discourse is need to exact revenge against those who rejected Ethiopian identity (p. 42). Long-distance nationalists living in exile from Ethiopia experiencing media images of war and famine either their sense of Ethiopian national identity with membership in ethnic-based groups, or take “refuge in the fantasy of ancient Ethiopia” and “dedicate themselves to the notion of re-establishing the greatness of this shadowy entity” (p. 44-45). In 1994, Eritreans home and abroad voted for independence, despite Ethiopian opposition (p. 47). Even after Eritrean independence, Ethiopia’s “long-distance nationalists remained committed to the ghost of their dismembered homeland and saw themselves playing a central role in its resurrection” (p. 49). Border dispute in 1998 between the two countries results in mass, violent deportations of Eritreans from Ethiopia. Long distance nationalists post messages of support on the web, dismissing the fact that many deportees were Ethiopian citizens that posed no threat (p. 50). In addition to Ethiopian and Eritrean government official and semi-official sites, opposition groups and individuals in diaspora operated their own discussions and archives: “Identity issues were central in discussions that flooded Ethiopian websites. Exiled Ethiopian cybernauts were jubilant at destruction in Eritrea and urged the Ethiopian government to recapture it and to inflict revenge”, considering death and slaughter as appropriate punishment (p. 55). No counter-narrative was developed in diaspora, no postmodern boundary transgression online: “Ethiopians who viewed these developments from the diaspora experienced a renewal of their own fantasies of national identity. Neither the experience of life abroad nor the supposedly boundary-transgressing qualities of cybercommunication created any alternatives to Abyssinian fundamentalism among Ethiopian exiles” (p. 60).